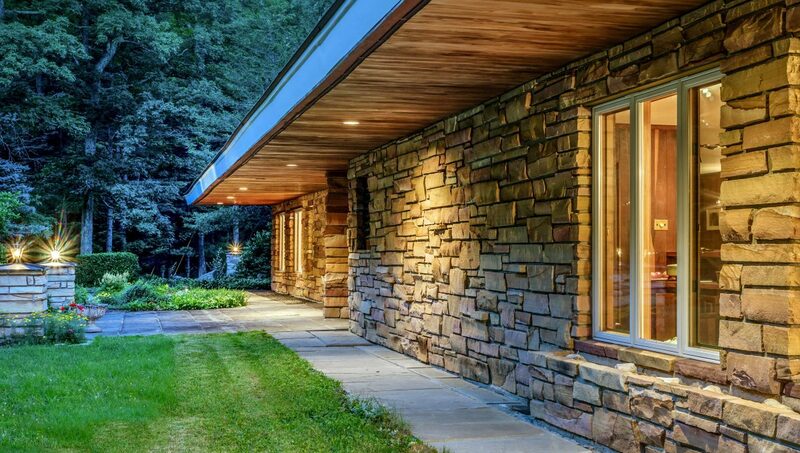 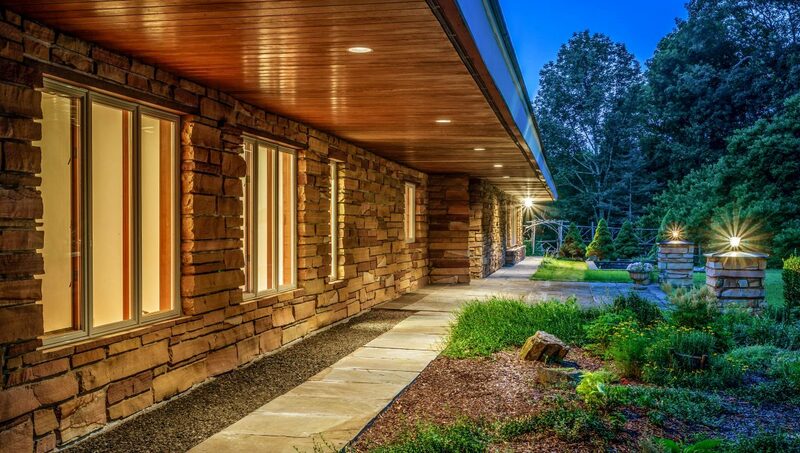 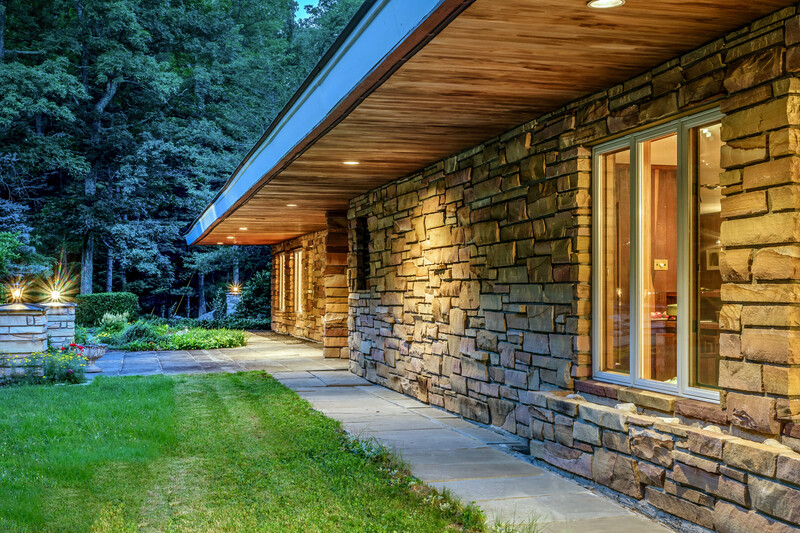 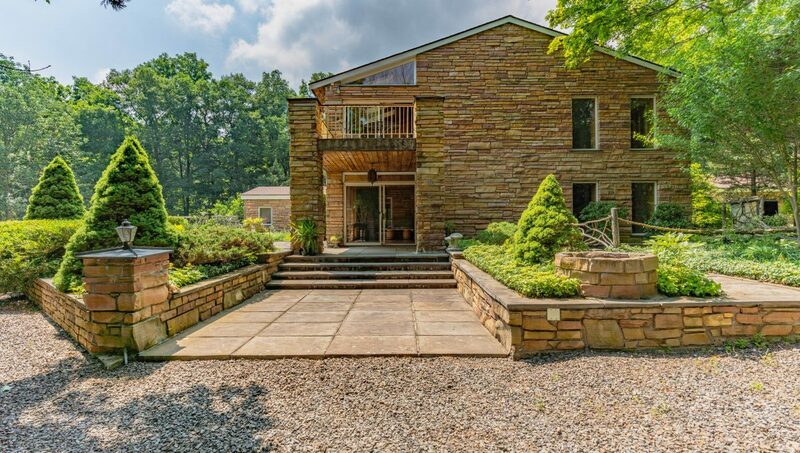 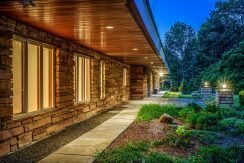 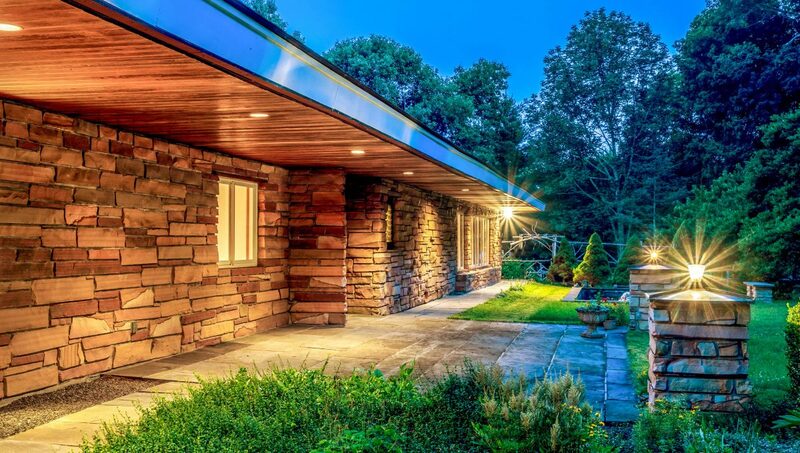 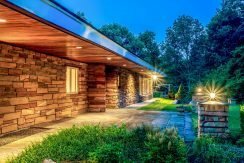 This exceptional example of mid-century modern architecture built of steel and stone offers a very unique combination of character and features that would be hard to replicate at any price. 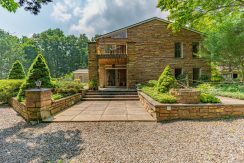 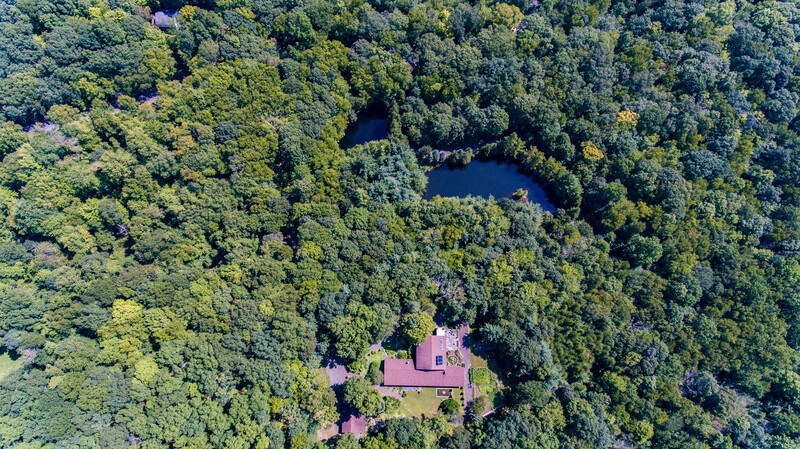 Nestled in the hills of Roxbury under magnificent spreading oaks and pines on a 15-acre lot, the 6,000-sqft residence blends organically into the rolling landscape at the top of a long graveled drive along which are two spring-fed ponds. 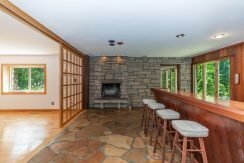 The light-filled interior creates a family-friendly first floor containing a formal entry with stone floor and chestnut paneled bar area with fireplace, long sight lines from a spacious living room with alcove sunroom and a natural stone fireplace to the more formal living room, original kitchen, first floor en-suite master with garden access, and a 4-room in-law apartment with kitchenette and separate entry with foyer. 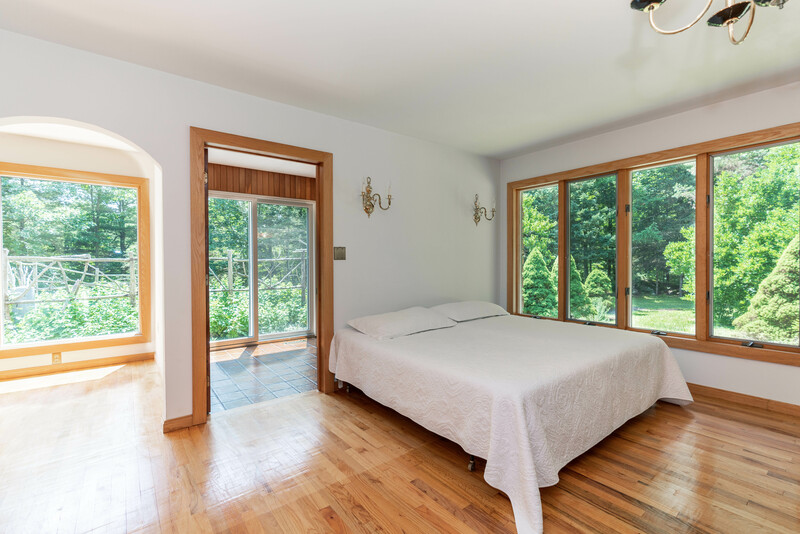 On the second level is a large master suite with a balcony and a sky-lit sitting/exercise room overlooking the gardens. 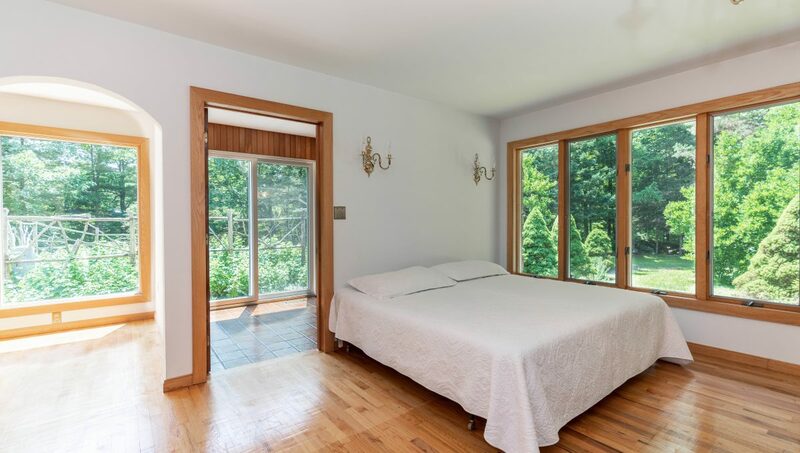 A second spacious bedroom has a living room-like feel with wall-to-wall windows and enough room to accommodate a king size bed and generous sitting area. 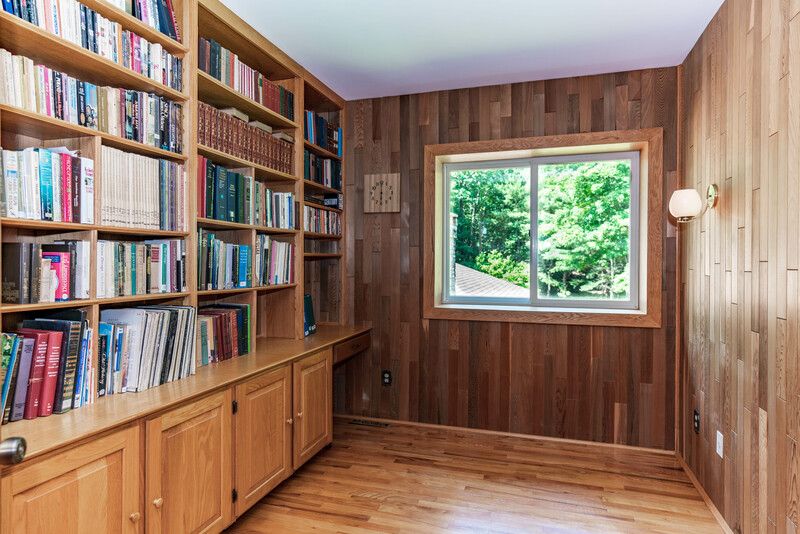 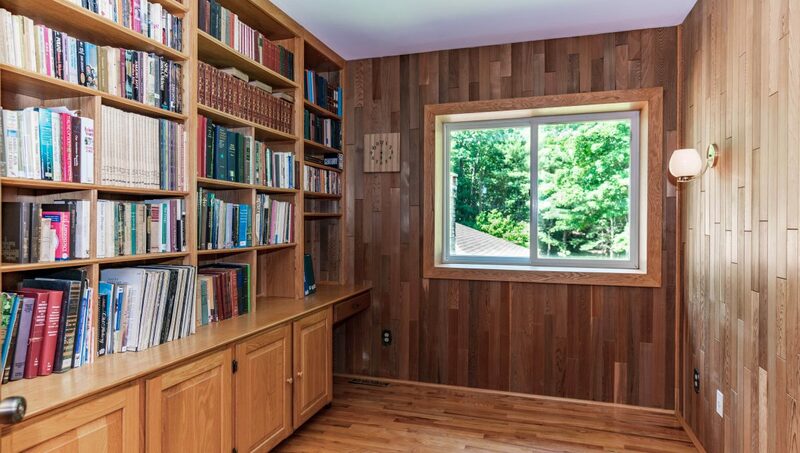 Additional rooms include an office/library with built-in bookshelves, first-floor laundry room, and bonus room. 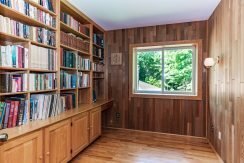 Oak flooring and cedar closets throughout. 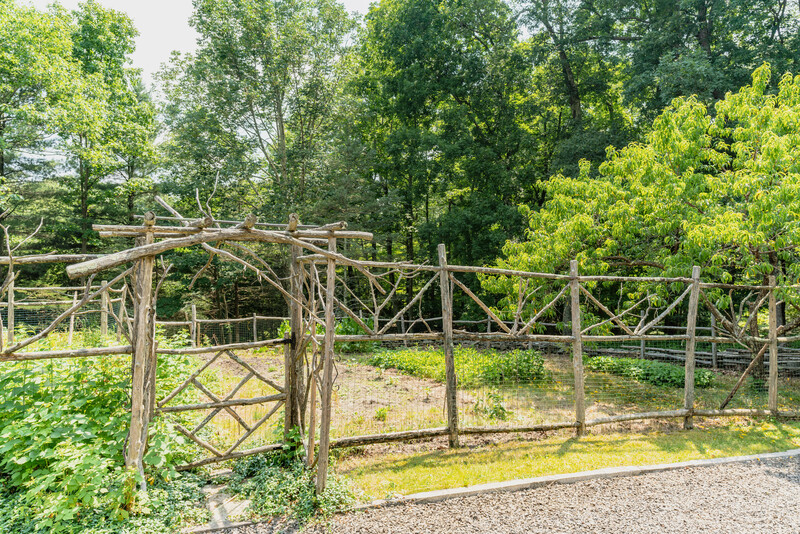 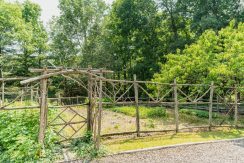 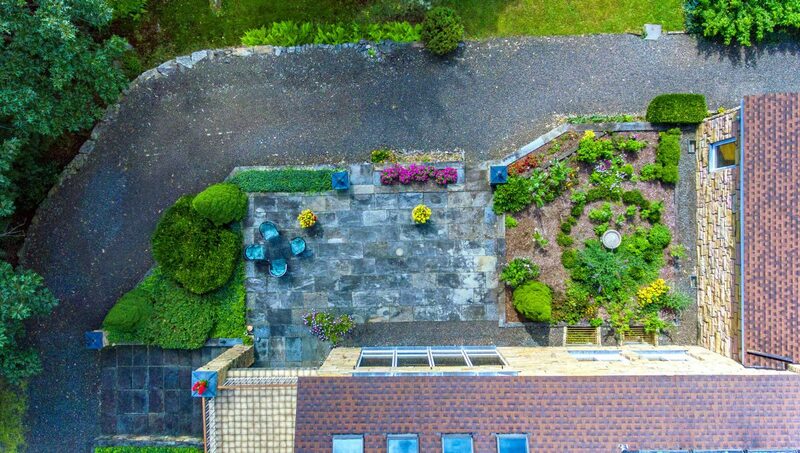 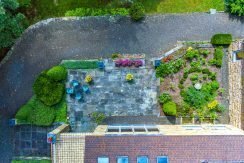 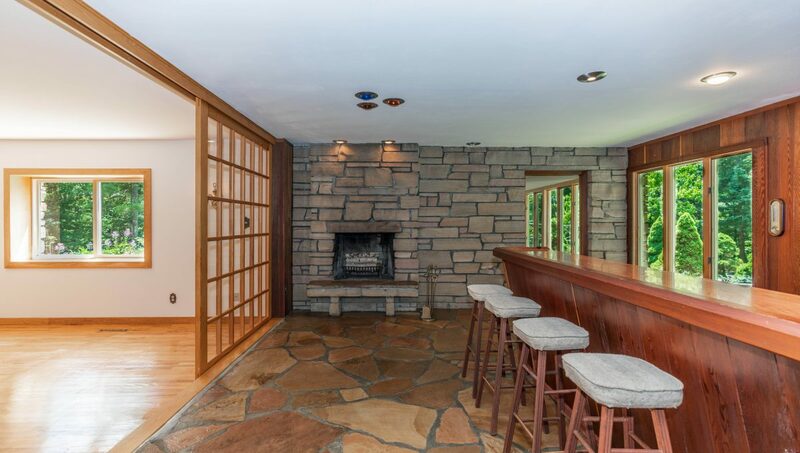 The property has great long-view potential with some clearing, and sports a flagstone patio for entertaining or relaxation, a cedar-fenced vegetable garden, mature plantings, two water fountains, and a detached 4-car garage. Room for pool and tennis court. Loaded with architectural details of the period paired with modern comforts such as central AC, solar paneling… this one is not to be missed. 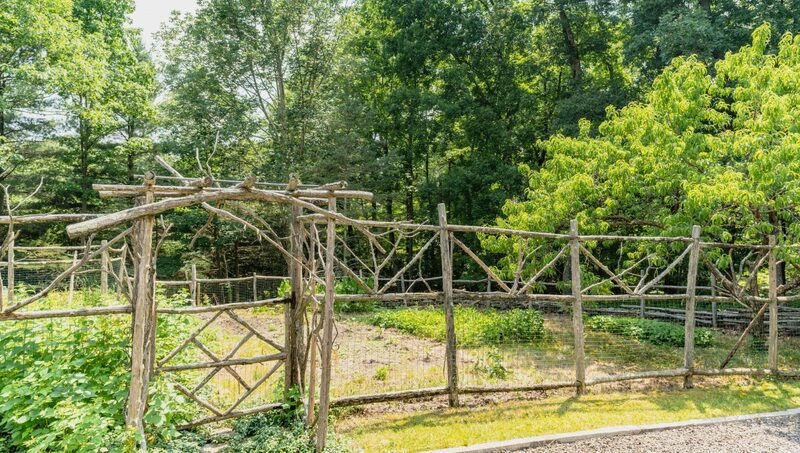 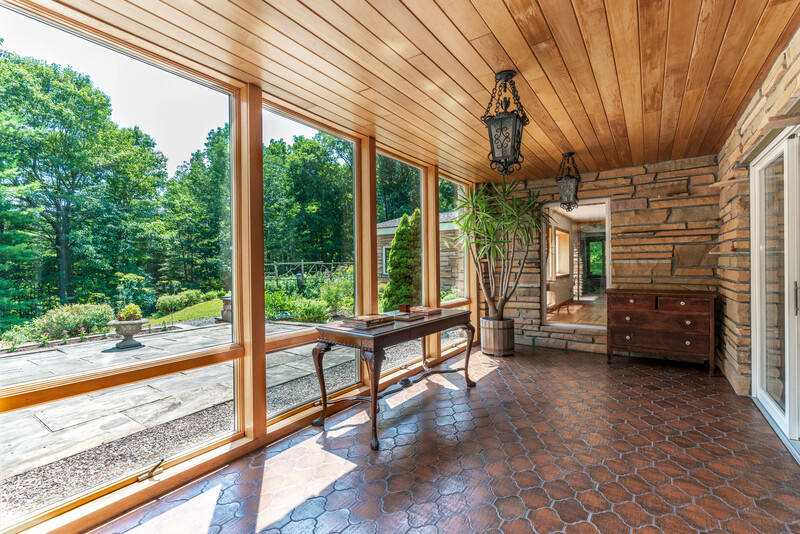 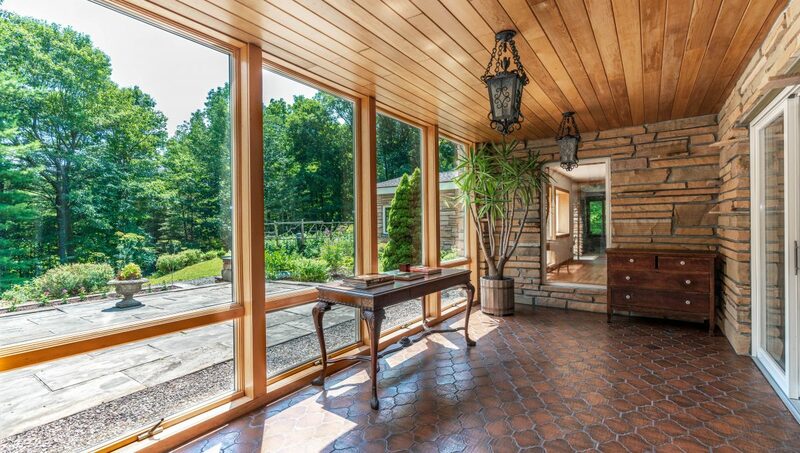 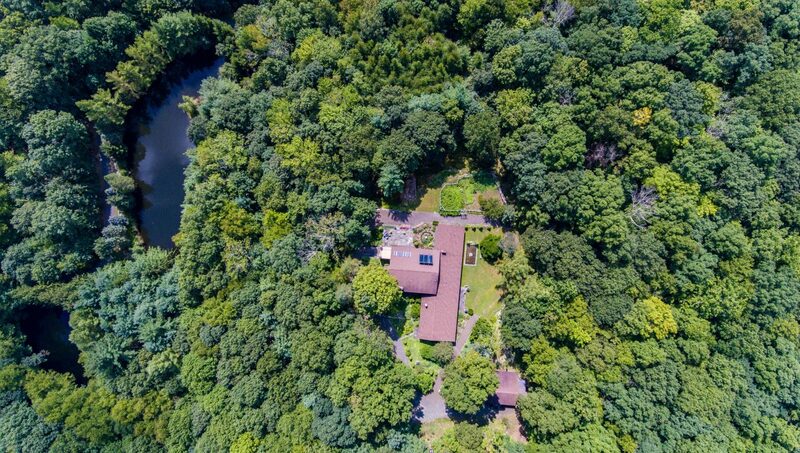 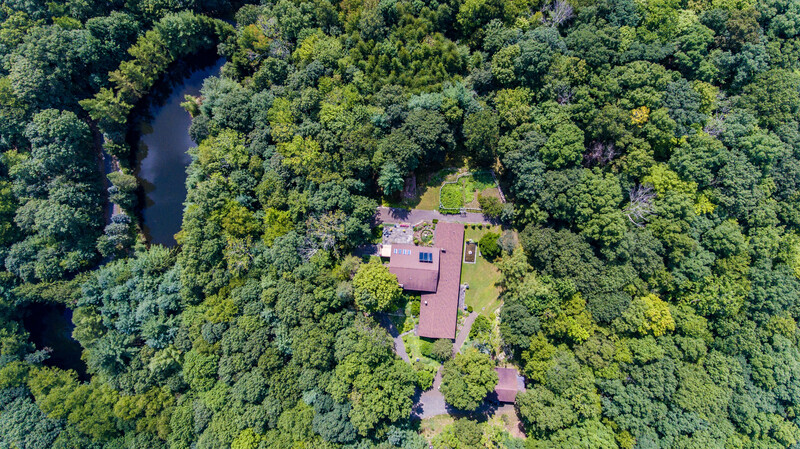 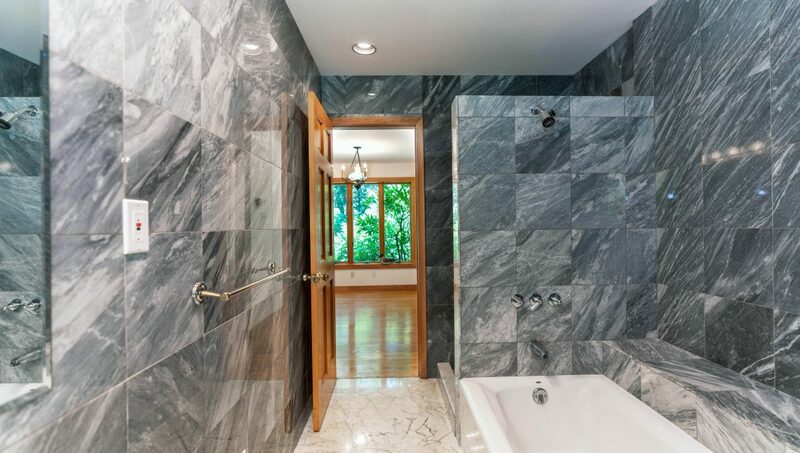 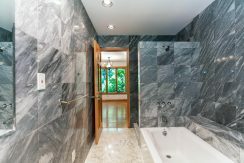 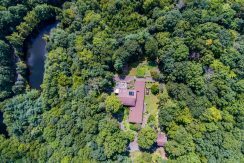 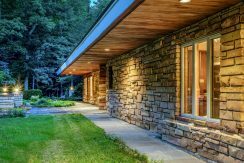 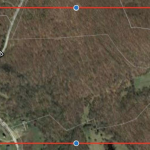 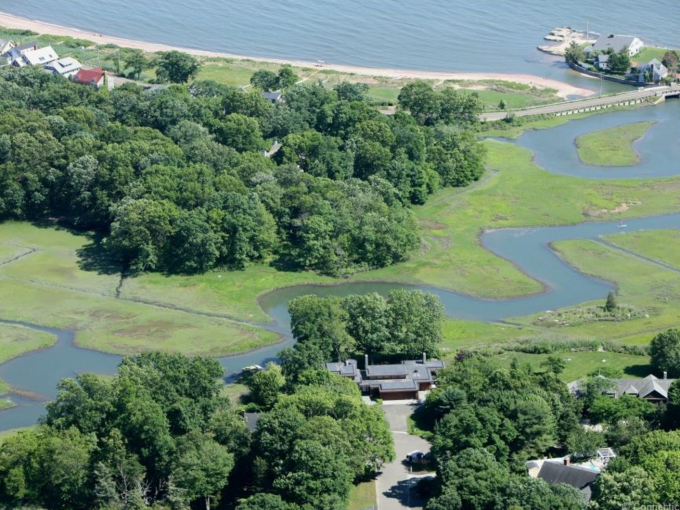 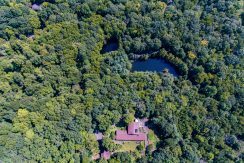 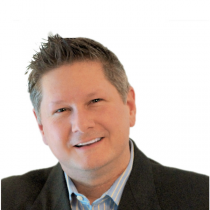 Located 90 minutes from NYC in an estate area abutting other large acreage properties with open space designations.